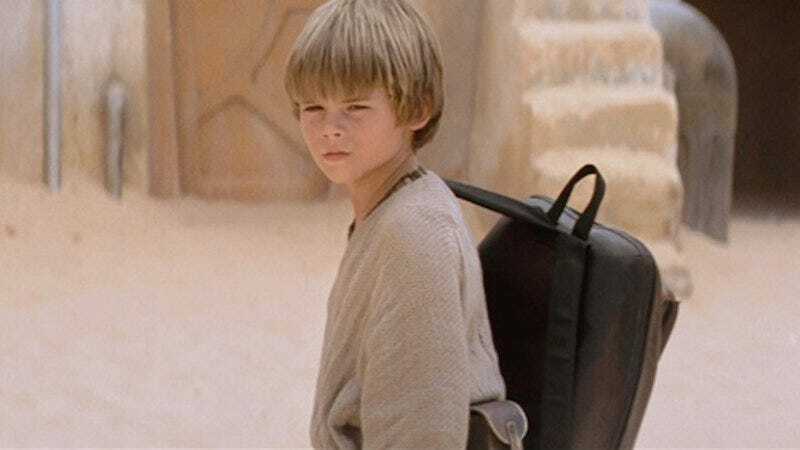 To us internet people, this is funny because there was a scene in The Phantom Menace where Lloyd—as young Anakin Skywalker—competed in a big race with a bunch of goofy aliens, so it’s easy to make jokes about this by referencing that. “Maybe he was trying to get away from Sebulba?” people might say. Or maybe they’ll ask if Greg Proops provided commentary, or if his car crashed because it got shot by Tusken Raiders. Whatever the jokes are, they’re all pretty funny because The Phantom Menace was a terrible movie. Let’s just not think of the fact that Lloyd gave an interview in 2012 in which he claimed that being in The Phantom Menace screwed up his childhood and that he had to “retire” from acting because it made him so miserable. Also, people who are in an emotionally good place don’t usually decide to run from the cops, but whatever. This is the internet, and the internet is no place for empathy. Let’s all just keep making jokes. Something something “now this is pod racing!” We’re all having fun, and there’s no reason to feel a little bad for him!